This term we are going to be learning all about where we 'fit' in the universe. 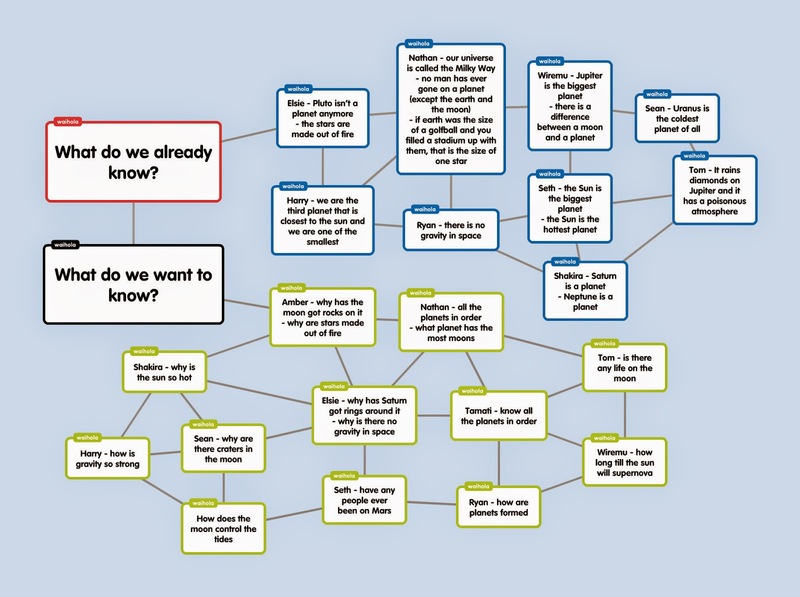 Today we created a Popplet to brainstorm all the great knowledge we already have about the planets and our universe. We also began a list of questions of things that we would like to know. We are looking forward to learning the answers to all of our questions and lots more!